It’s finally here! After three years and 11 months (but who’s counting?) 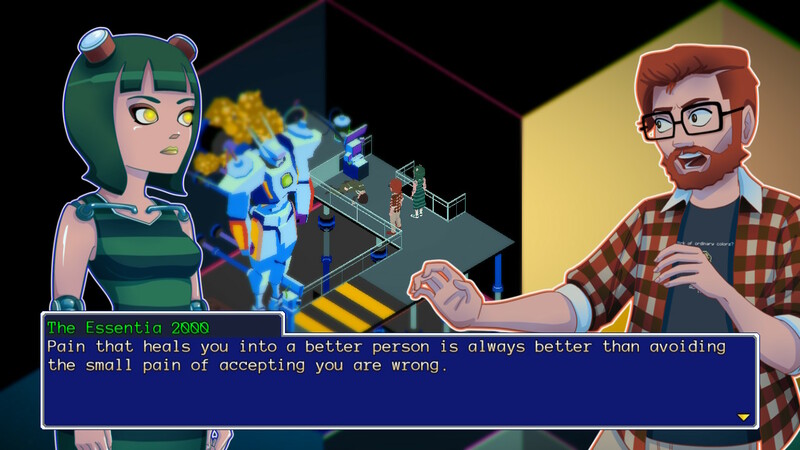 of waiting since the first trailer hit, YiiK A Postmodern RPG has arrived! I was instantly caught up in the obvious EarthBound (sorry, I meant Mother 2) influences and funky soundtrack. I got a chance to talk to Ackk Studios last year and play a small preview of the game, which only got me more psyched for YiiK’s release. Now, just about 30 hours of main campaign and side quest gameplay later, I’m glad I got the chance to experience the crazy, ambitious (and crazy ambitious) ride I got to take with Alex Eggleston and company – and the one he got to take with me. Yeah. It’s a good word to understand before you start considering YiiK’s narrative. You can read the full Wikipedia entry if you want, but put extremely simply, postmodernism embraces relativism and adopts skepticism towards ideas of universality. People are shaped by their experiences, in other words; values and virtues are taught and learned, not intrinsic to all humans. People have to be understood as individuals. At its core, YiiK is Alex’s journey to learn to understand and empathize with something or someone beyond himself. 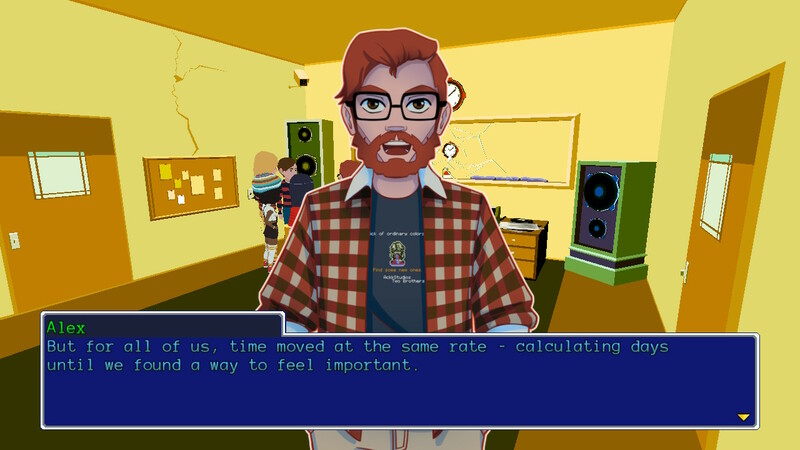 YiiK was clearly written by an English major with a lack of direction in their life. Alex and his friends’ search for an identity and a place to belong really struck a chord with me (an English major with a lack of direction in his life). The game begins with recent college grad and Liberal Arts Bachelor’s Degree holder Alex Eggleston returning home to the small town of Frankton in early 1999. He notices some small changes have occurred since he went away, but a creeping feeling of unease is growing in him that the changes run deeper than he can immediately perceive. His mom left a note asking him to make a grocery run. On the way to the store, his grocery list is stolen by a cat with Salvador Dali moustache whiskers. Alex tracks the cat to a mysterious abandoned building on the outskirts of town where he meets the cat’s owner, Sammy Pak. Sammy seems not to know anything about the world; in the first of his many (many!) moments of self-absorbed callousness, Alex just kind of assumes she’s mentally ill or maybe homeless. Despite this, Alex can feel a connection between them. Their relationship ends pretty definitively when, while riding an elevator, Sammy is ripped from the universe by a group of other-dimensional entities. Alex doesn’t really know what to do with that; he runs home a little ashamed of himself. The next day, Alex is emailed a video of Sammy being abducted; the video links to a website called Onism 1999, a website dedicated to urban legends and the supernatural. 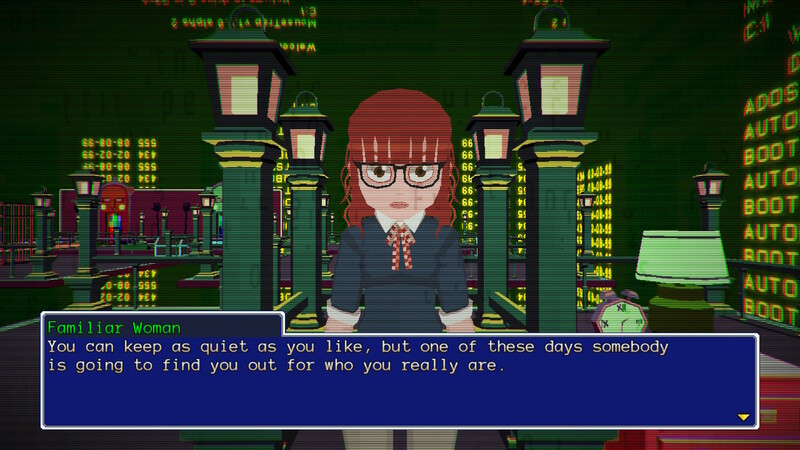 Onism is a central mechanic for pushing the story forward in YiiK, much like the message boards and news feeds from the .Hack series of games- but more on that in a sec. Feeling guilty for just abandoning Sammy, Alex heads back to the old building but runs into an old friend from the neighborhood named Michael. It turns out Michael is one of the founders of Onism 1999, and when Alex reveals that he knows where the video was taken, Michael is thrilled to go with him to explore the mystery of Sammy’s disappearance. They head to the abandoned building together, but run away when confronted by one of the beings that abducted Sammy. Michael, a photography enthusiast, takes some pictures of the beings. The pair decide to upload the pics to Onism to see if any of the users there can make sense of them. The message board has already taken a huge interest in the Sammy Pak disappearance story, and the pictures just fan the flames. 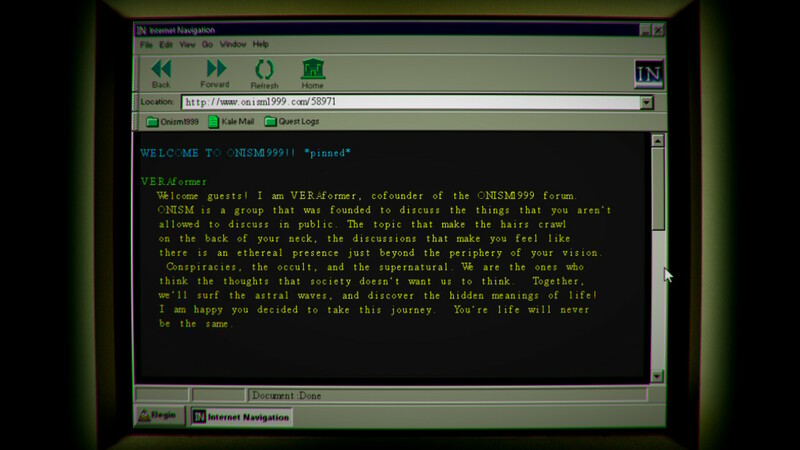 Users post theories, investigate Sammy’s background, and try to generally get the word out about Sammy going missing. Throughout the rest of the game, checking Onism regularly is a main way to discover information to push the plot ahead and find side quests. Most party members are recruited via investigating leads turned up on Onism, and any post with a fire icon next to it introduces a side quest to investigate. It truly captures the feel of late 90’s message boards; whenever I checked it I was transported back to the days before social media and the comments section were staples of the internet experience, and the forum reigned supreme as the sole source of community on the internet. Loss is the tie that binds your party together; almost every member of the party joins Alex’s quest to find something that has been taken from them. Alex and Michael lost Sammy Pak. Rory lost his sister to suicide; he joins trying to find her soul. Chondra and Claudio’s little brother disappeared years ago, and they refuse to give up hope that they can find him. Vella – well, that would be a pretty big spoiler, wouldn’t it? We’ll just say she knows what it’s like to lose and leave it at that – I’m not a fan of day-one review spoilers. The point is, this common theme makes the characters feel grounded and relatable in a world of abstract dangers and metaphysical struggles. 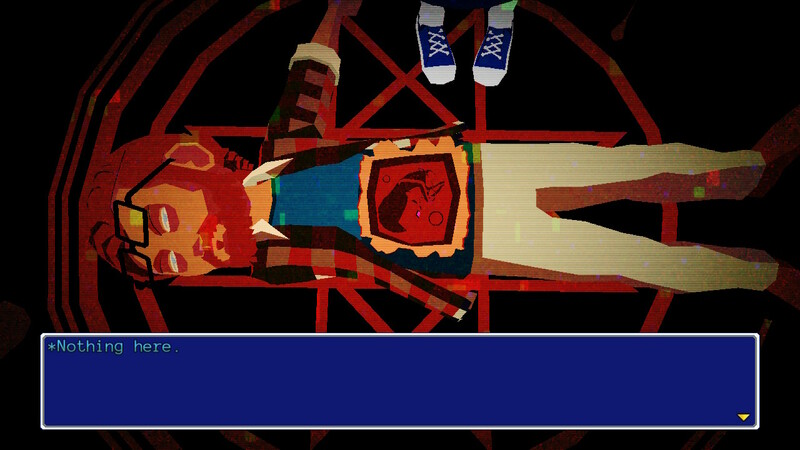 YiiK builds a cool internal cosmology around souls; as you progress through the game, you learn that Sammy was abducted by beings known as Soul Survivors. 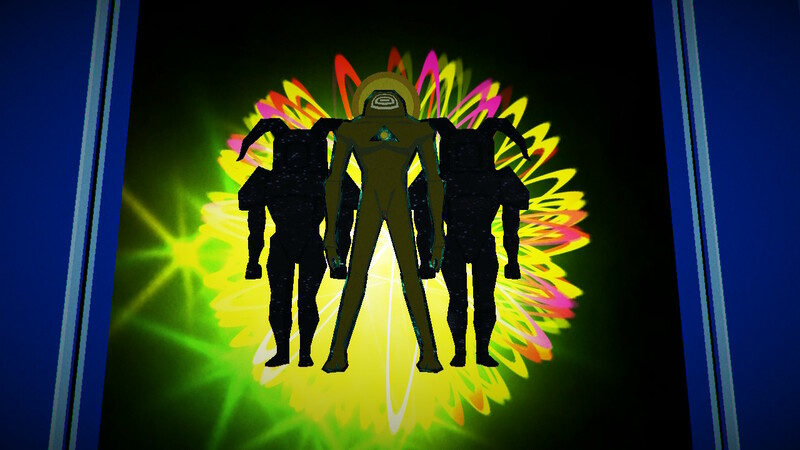 Soul Survivors are human souls from alternate realities who have transcended their bodies and ascended into the Soul Space, which is the area between different dimensions. They can come into being in different ways, but it always boils down to a soul becoming detached from the physical world. The fewer attachments to the world a soul has, the more they are able to sense the metaphysical world. When a soul can finally detect the Soul Space, it has the option to embark therein. Once a soul has left its home reality, it can only enter parallel worlds where it has no counterpart. The other key element of souls in the game is that every soul exists in every world, although not every soul belongs to the same person. One soul may be a black, middle-aged man in one world, but an Asian child in another. This discrepancy is never really explained away throughout the game, making for a little bit of a hole in the mythology. It’s just something that happens; the same soul doesn’t come into being at the same time from world to world. The structure of it isn’t that important in the grand scheme of things, however. It’s a narrative device used to force characters to confront themselves and their natures. Alex in particular has to take a hard look at himself and reconsider his experiences when faced with the possibility of a version of himself that doesn’t make the same mistakes he constantly does while interacting with people. He often judges characters for situations beyond their control, or fails to consider other people’s feelings when judging their actions. He’s incredibly judgmental in general. It can be hard to relate to him or appreciate his character arc at times… but I saw too much of myself in him to reject his internal struggles outright. While the story is ambitious and engaging, sometimes the writing can be a little rough – especially in Alex’s monologues. 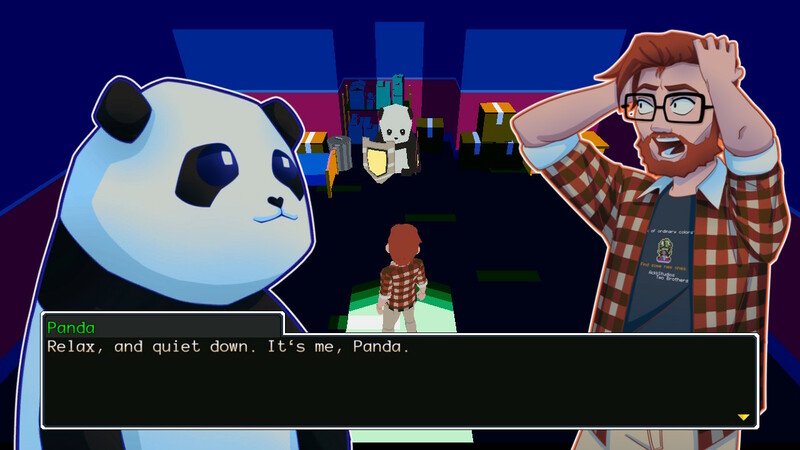 The game is often framed as a one-sided conversation between Alex and an unknown party. We never see the other person respond to Alex’s words until the climax, but again – no spoilers here. It’s a good payoff, though – it ties together lots of stuff from the beginning of the game I had honestly forgotten about with the game’s greater cosmology in a fun, innovative way. Anyway, Alex’s speeches; sometimes the lines he delivers can feel redundant, sometimes they can be overwritten. Alex often narrates actions that would have been better served if we had just seen them happen. For instance, fairly early on another character doesn’t fully answer a question he asks. The other character very explicitly avoids answering part of his question, which players will pick up on almost immediately. Alex interjects with some narration, where he mentions having the feeling that the other character is hiding something from him. His lines are both unnecessary and repetitive, since the character makes it pretty clear they’re holding something back. There are a few instances of clunky narration like this throughout the game. It doesn’t ruin the experience, not even close – but it does stick out amongst the more smoothly-written, natural, dialogue-based interactions between the cast. Speaking of the cast, YiiK assembles a really cool party of characters to accompany Alex on his journey. 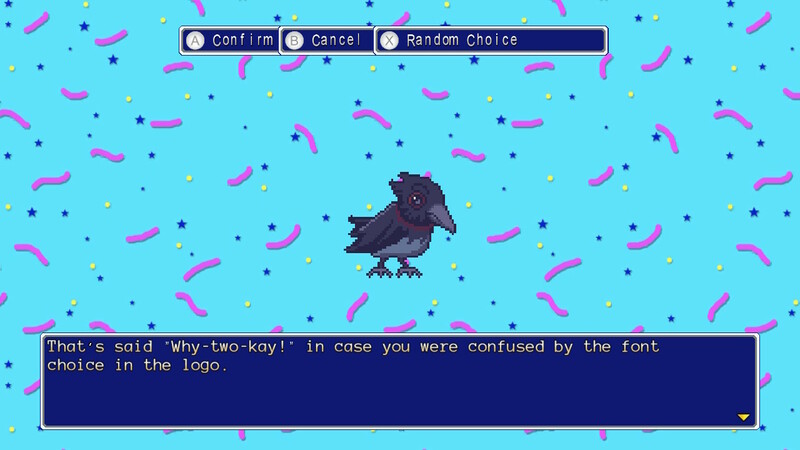 Sure, they all seem like maybe they were created with a quirky hipster cliché generator someone released online as a joke, but the game makes it work. 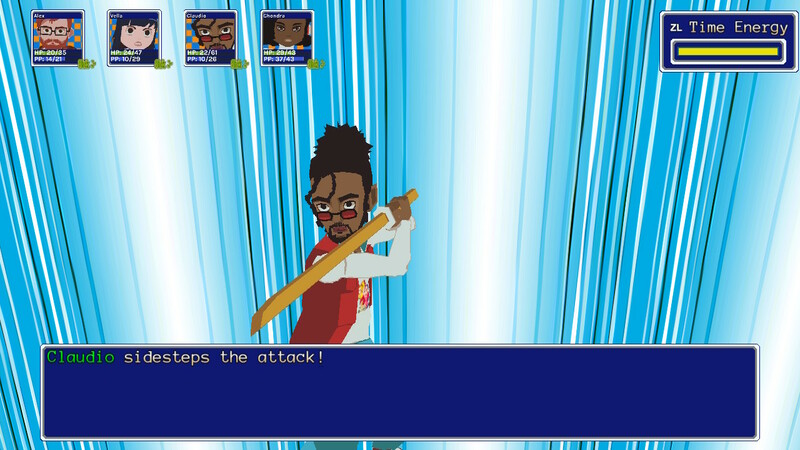 African-American record store owner obsessed with magical girl anime who fights with a wooden katana? Sure. His little sister uses a hula hoop in battle? 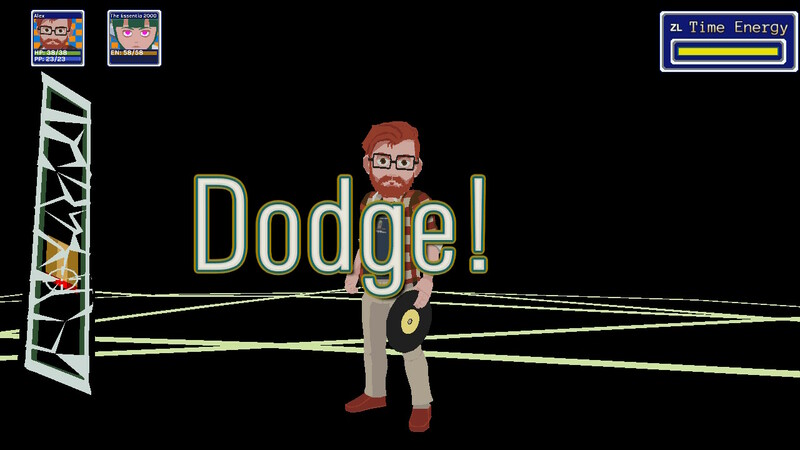 OK. Main character dressed in flannel and Buddy Holly glasses whose combat abilities are based around vinyl LPs? All right, why not throw in some Keytars while we’re at it? Oh, we did? OK then. Seriously, though, despite some small eye-rolling at the hipster-ish portions of their design, the cast is one of the most memorable in recent RPG history. The aforementioned commonality of loss in their lives helped me empathize with them early on, and the investment I felt in their friendship and their lives grew as the game went on and we shared more experiences together. Each character has their own identity and a relatable goal. Outside of Alex there isn’t much in the way of character growth; but then, Alex is really the one who needs to grow up anyway. 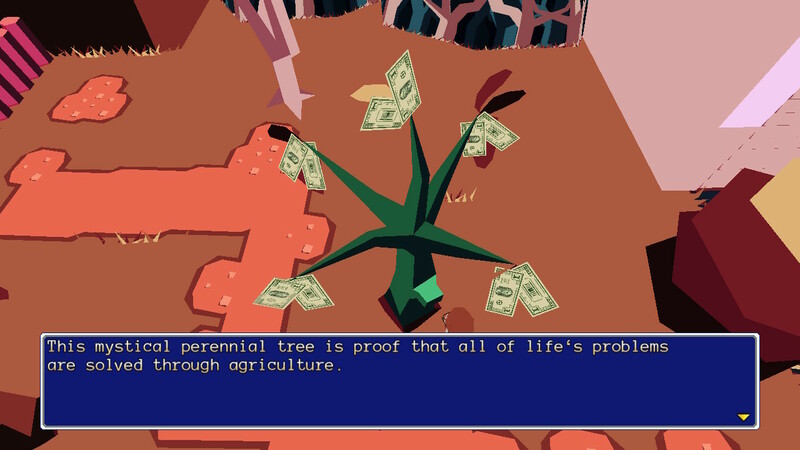 Exploring the world of YiiK involves an adventure element in the form of a tool system. Throughout the game, Alex collects items he can use to manipulate his environment. Alex gets a stuffed panda that can be used to hold down switches and bridge gaps, a bass amp from Vella that can create sound vibrations to destroy obstacles like rocks and… bigger… rocks, a skateboard, a makeshift flamethrower, and a vicious hair whip to cut down plants. They’re basically like the HMs from Pokémon. They add a little variety to the gameplay, which is always nice. 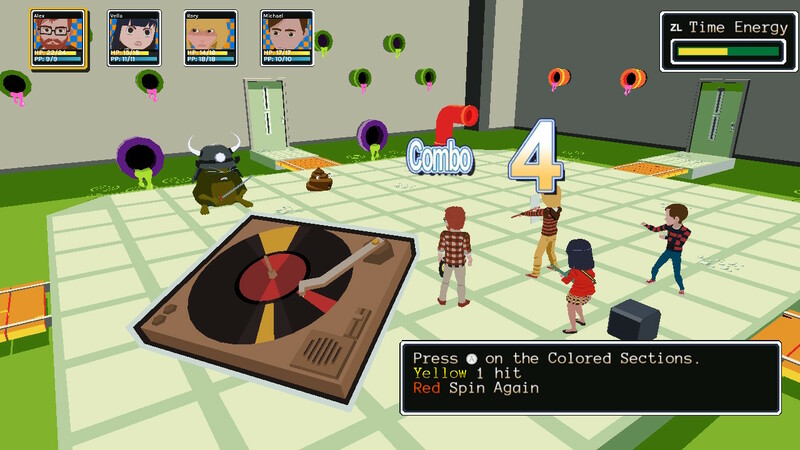 Combat in YiiK is done entirely in mini-games; most of them are rhythm-based, but not all. Alex’s regular attack, for instance, has a record player pop up on screen. The record has colored sections, and if you hit the attack button when the needle on the player is over them it adds another hit to Alex’s attack combo. The red section of the record also sends it around for another spin, giving you the opportunity to extend the combo even further and do more damage. 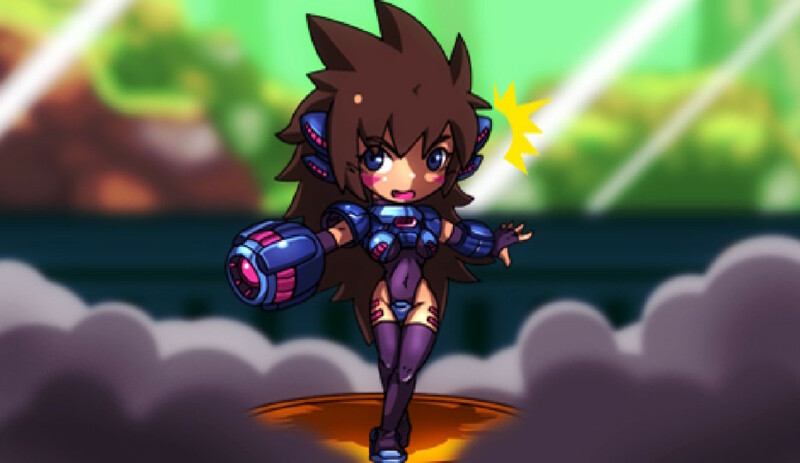 Some special abilities incorporate platforming action. Vella’s Bass Drop attack, for instance, brings up an 8-bit style screen area where you have to jump on a bass amp and pick it up and throw it at the enemy for it to hit. The variety of the attacks keeps things interesting for a while, but the Battle system can get really cumbersome after the first few dungeons. Regular battles can take longer than the boss battles in similar games if you just stick to regular attacks. Using abilities instead makes things easier, but pulling off big abilities is sometimes harder and less reliable than just a regular attack. Plus, you have to keep your PP up to do that. There is often a water fountain not too far away when you’re in a battle area which will restore your HP and PP, but sometimes you’ll be going through PP restoring items like there’s no tomorrow. Money isn’t exactly in short supply throughout the game, so it’s really just an inconvenience, but it did come up fairly frequently for me. You can avoid battles by just not running into enemies, but doing so will cost you a chance to accumulate precious experience points. More frustratingly, the rhythm aspects of combat just seem inconsistent. There were many times where I know I hit a button at or before the prompt and the game just didn’t register it; I didn’t even get the record scratching sound the game makes when you just miss your cue. It was as if I hadn’t pressed a button at all. 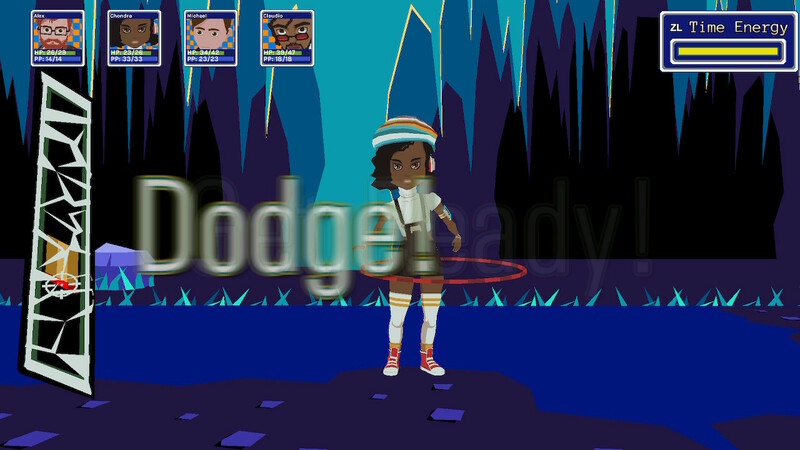 Moreover, mini games sometimes experience small graphical stutters at the beginning of the attack, which can cause rhythm issues when the record in Alex’s attack skips forward unexpectedly. Whenever one of your characters is attacked during battles, you have the opportunity to guard or dodge, depending on your timing. The basic dodge has a yellow area and a smaller red area just below it. A target will drop from the top of the meter; stopping the target in the yellow area results in reduced damage, while stopping in the red area results in completely dodging the attack. There are a few variations on the dodging mechanism. One has three very hard to hit red bands that must all be hit to dodge, with no chance to just guard and take reduced damage. The other has two bars with only yellow bands, meaning the attack can’t be dodged, it can only have its damage reduced. … was counted as a miss, even though the targeting reticle is clearly more in the red than in the previous picture. It’s better to be early than late, I guess. 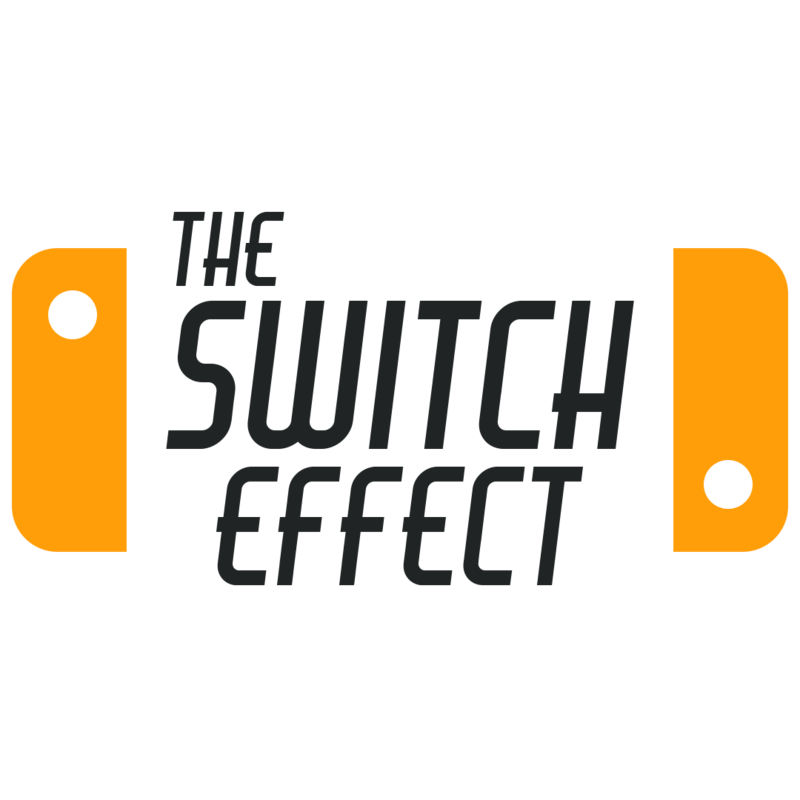 Guarding, dodging, and rhythm-based attacks can be made easier by hitting the left trigger and activating time dilation mode. The game will slow down while the trigger is being pulled, as long as you have some energy in the time meter in the upper right corner of the battle screen. It has it’s uses, but it doesn’t make things as easy as it sounds. The meter empties out pretty quickly, and can only be refilled when you take damage. I mostly saved it for when a character was near death, and I absolutely had to make sure they stayed alive until my next turn so I could heal them. This being an RPG, once you finish a battle, you get experience points. Leveling up, however, is not done automatically. After recruiting Vella, Alex can use any phone to enter the Mind Dungeon, a dungeon… made of his mind. It contains some repressed memories and a very helpful raven. You can trade 100 exp to the raven to gain a level and go one floor deeper into the dungeon. 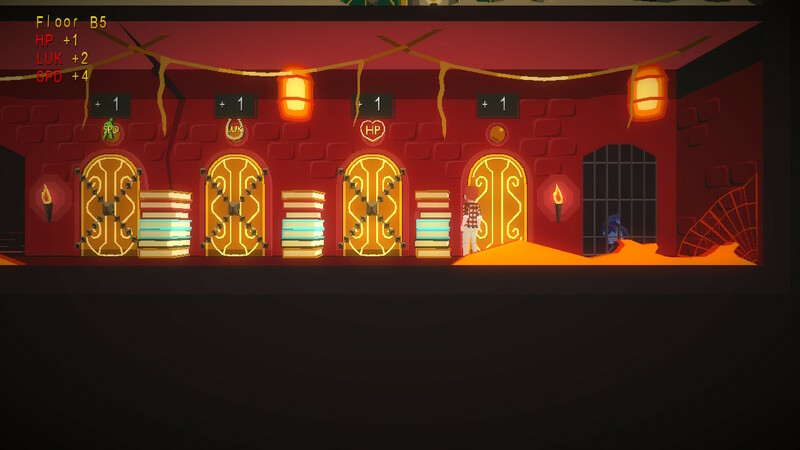 Each level has four doors; Alex can assign one of his six stats to each door, and entering the door then raises that stat according to the number hanging over the doorway. Some doors contain skills; opening them grants a character a new skill instead of increasing Alex’s stats. Other party members level up automatically whenever Alex gains a level, as long as they have 100 experience points themselves. There’s also this random blue dude at the entrance you can talk to who will let you level up your party members (again, as long as they have 100 exp). The Mind Dungeon is a really cool way to build a character, both in terms of gameplay and narrative development. You can focus on the stats you value the most – be it speed, attack, or defense – to play the way you want. Every few levels there are cutscenes delving deeper into Alex’s hidden past that reveal interesting new elements to the story and provide additional context for the choices he makes. While the Mind Dungeon scenes aren’t necessary for the story, they do enrich it greatly. So despite the monotony of the grind, levelling up to see more of the Mind Dungeon is well worth the effort. 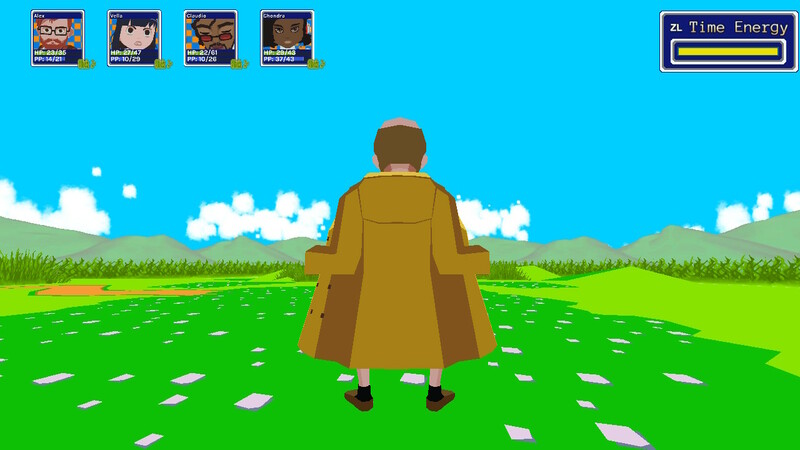 Despite its obvious EarthBound influences, YiiK’s graphics look like something from the PS2 era except way smoother. 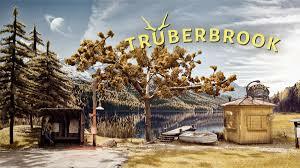 The character models are uniquely designed and interestingly animated; the character animations are stilted, having a very dreamlike, almost stop-motion looking quality to them. It really enhances the surreal atmosphere of the game to see Alex sort of drift through the game’s locations without seeming to ever really interact with them. It underlines his feelings of isolation and general sense of not having anywhere to belong. It’s a master class in how to use visual aesthetics to aid in a game’s narrative development. 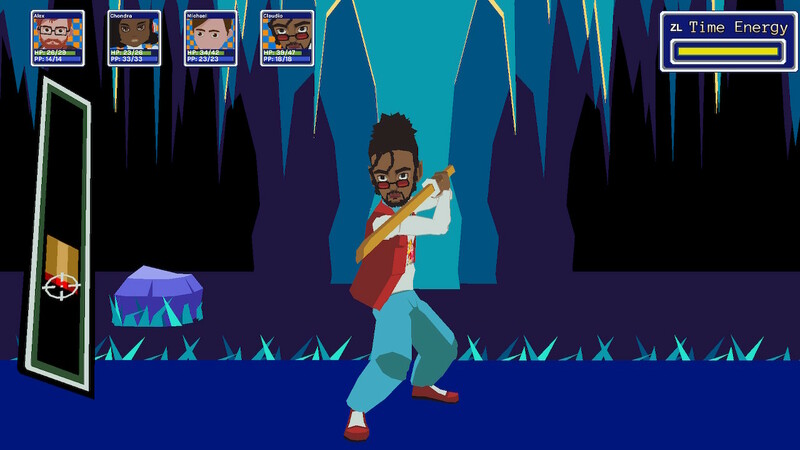 The music in YiiK is as engaging as the graphics; it encompasses lots of different genres and styles. The soundtrack makes use of electronic sounds in addition to many traditional musical instruments. Genres represented range from jazz to rock to chiptunes to J-Pop to one battle theme that’s just bongos. I don’t know what genre that is, but it’s there. I remember at least a dozen different battle themes, and that’s not even counting boss fights! My favorite was the one that sounded like a Mega Man song that seemed to play most often when I fought totally original enemies called Mega Bots. The breadth and diversity of the music is a definite strength of the game. 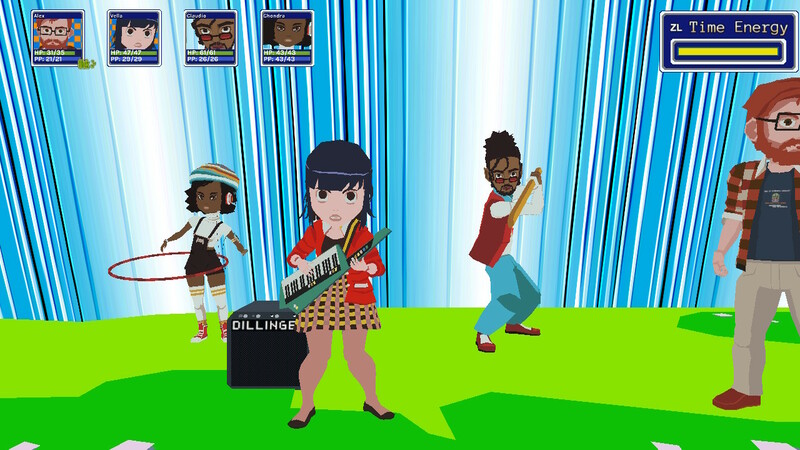 In addition to the strong musical selections, YiiK also gets the most out of a talented vocal cast. The game isn’t fully voice acted; most side quests don’t have voiceover, for instance. Some main story scenes don’t, either, but for the most part when an important story development is going down, you get a stellar delivery from one of the game’s cast members. Of special note is Chris Niosi (whom you may know as Reigen in the English version of Mob Psycho 100) as Alex. His performance really captures the rash anger and subsequent silent self-recrimination Alex often exhibits, establishing a firm emotional core for the character. Worth Mentioning, but Maybe Not? 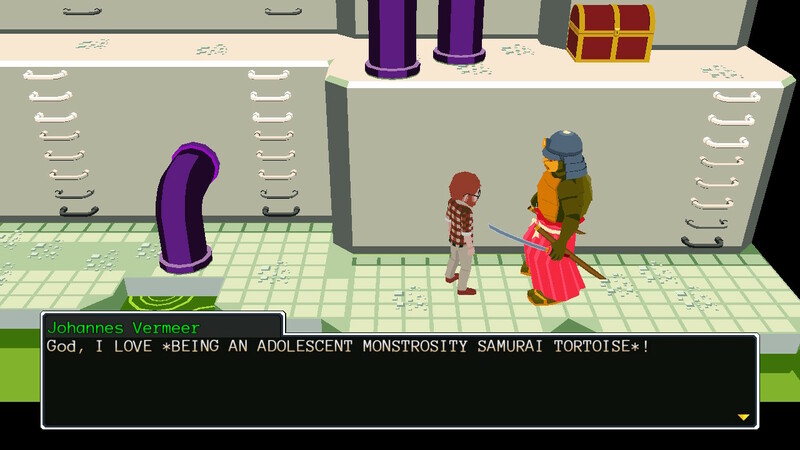 While I generally enjoyed my time spent in YiiK, there are a few areas the experience could be improved. I already mentioned the battle system, but the game could stand some other quality of life improvements present in most modern (in the sense of recentness, not in the art movement sense) RPGs. The ability to sort your inventory is at the top of that list; scrolling down the whole list to find the one you’re looking for waaaaaaay at the end gets to be a chore if you need to use items a lot. Also, while you can see a piece of equipment’s stats in the store, you can’t compare it to what you already have equipped. These aren’t vitally important to the game, they’d just cut away some of the fat and streamline the experience a bit. Something that might be a bit harder to fix are the frequent load screens. While it never takes more than thirty seconds, there is a load screen for everything. 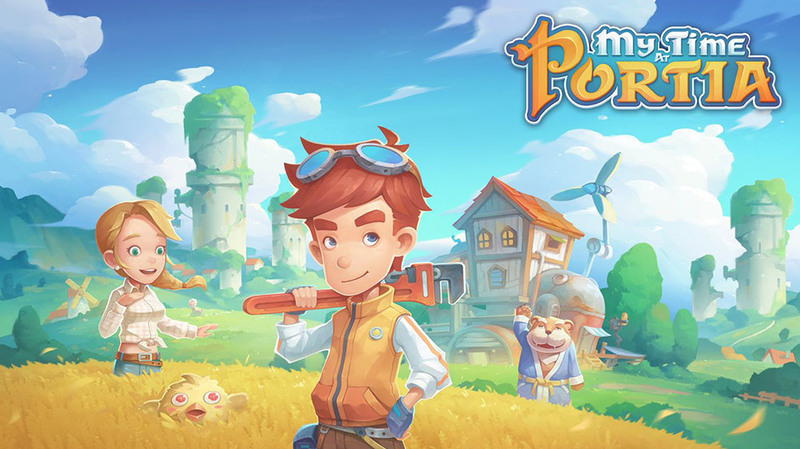 Going through a door, starting a battle, ending a battle, transitioning between town and world map, starting a cutscene; you’re going to get a load screen. It doesn’t really seem to matter what’s being loaded, either; every load screen seems to take the same amount of time, regardless of the size of the area or number of assets being loaded, which is weird. 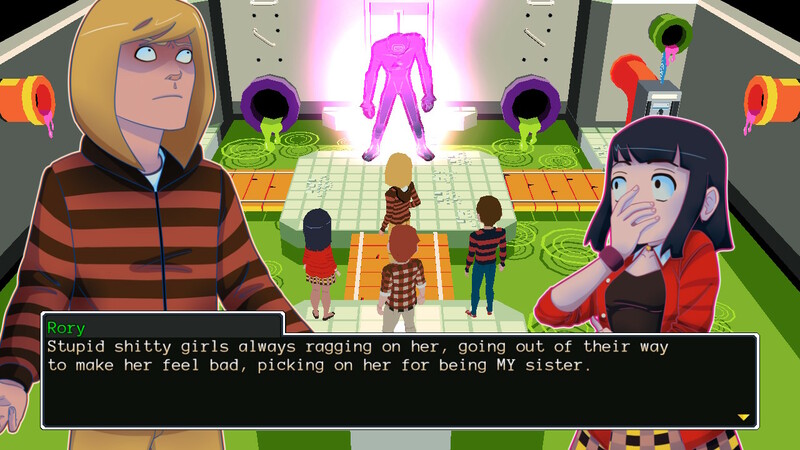 YiiK A Postmodern RPG has no touch or motion controls, so you can play it docked or undocked as you prefer. I honestly can’t decide whether I liked playing it docked or undocked better. The graphics didn’t look especially sharper on a TV than they did on the Switch’s screen. I didn’t feel like the rhythm aspects were easier to engage with in one format over the other, either. So it doesn’t matter if you play it docked or undocked; I’d just recommend you play it immediately. 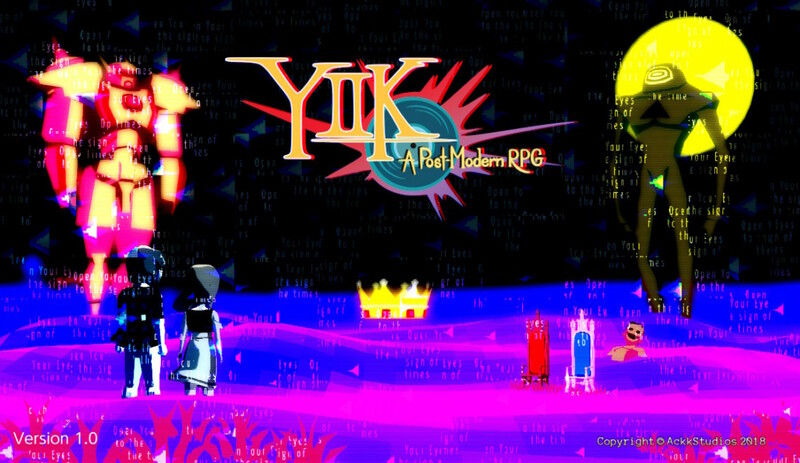 I know it seems like I’m hating on a lot of elements of YiiK; I don’t mean to come off as a hater. I genuinely enjoyed my time with the game. Despite whatever ticks or inconsistencies I found in the battle system, or whatever quality of life improvements I would prefer in an ideal world, Alex’s story spoke to me. His struggles to relate to the people around him, to find his place in the world, resonated with me in a way few games I’ve played ever have. I love the game’s art and sound direction from top to bottom. If the price of that experience is a few rough edges, I am more than willing to pay it – and I hope I’ve helped convince you to give it a try, too. TL;DR: Perfectly imperfect RPG experience.